Carolina Pines subdivision lies along the miles-wide Neuse River. It is nestled among magnolias, azaleas, tall Carolina pines, and waterways carved by nature’s hand. There are single and multifamily homes, and golf course, lakefront, riverfront, and wooded interior home sites. 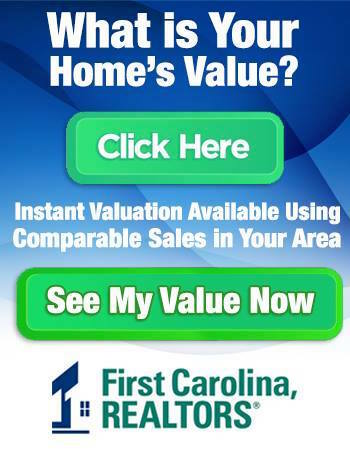 Homes in Carolina Pines have a variety of price points, starting in the 150’s. Carolina Pines Golf & Country Club boasts a championship 18-hole golf course with breathtaking views of the Neuse River, one of North Carolina’s largest estuaries. The river is more than 2.5 miles wide where it meets the incredible 15th green perched atop a 30-foot bluff. In addition to the golf course, members can enjoy a swimming pool, beach access, boat ramp, pro shop, and clubhouse with bar and dining facilities. Even though Carolina Pines has a New Bern address, it is only about six miles from Havelock/Marine Corp Air Station Cherry Point and fifteen minutes from New Bern. 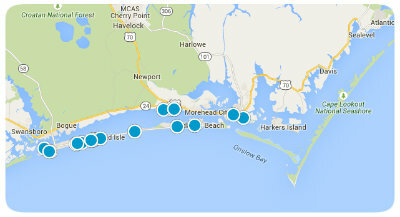 In twenty-two minutes you can reach the beautiful beaches of the Crystal Coast. The children in the Carolina Pines community attend Jessie Gurganus Elementary School and the much desired Tucker Creek Middle School. Some of the homes have septic systems and some of the newer homes are on the Carolina Pines sewer system. All of the homes are served by county water. If you are looking for a family-friendly neighborhood or a wonderful place to retire, you don’t want to miss Carolina Pines. It is not just a place to golf, it’s a place to call home!